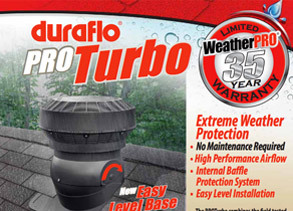 Find out why the pros rely on our WeatherPro vents. As a company, Duraflo prides itself on expertise and workmanship so you can be confident that your business reputation is covered. Made from durable, high-grade polypropylene, Duraflo PROTurbo and PROVentilator vents resist denting, crushing, corrosion, condensation and extreme heat and cold. 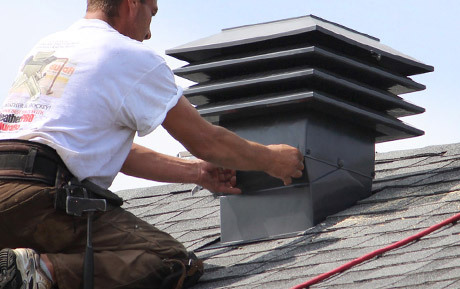 WeatherPRO roof vents are fast and simple to install thanks to the built-in Easy Level System—which saves your business time and money. 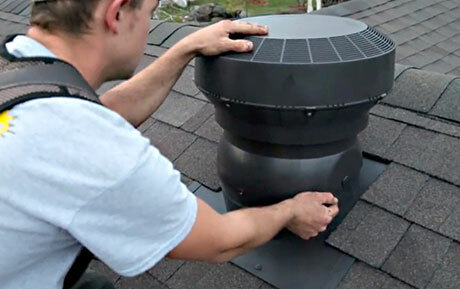 Duraflo PROTurbo and PROVentilator are an innovation in the roof vent market, with a maintenance-free design that’s easy to install and extremely durable. Schedule some time to get to know more about Duraflo, and discover what our unique PROTurbo and PROVentilator vents can do for your business. Discover products, easy installation demos, videos and training. 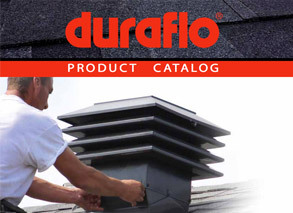 Duraflo ventilation products and solutions to meet your building needs.